I welcomed my second bundle of joy into the world last November. When I had my first baby all the way back in 2015, I was terrified to return to work. I was terrified because I knew I wanted to continue my breastfeeding/pumping journey, but I had no idea when, where or how I would be able to do it at work. 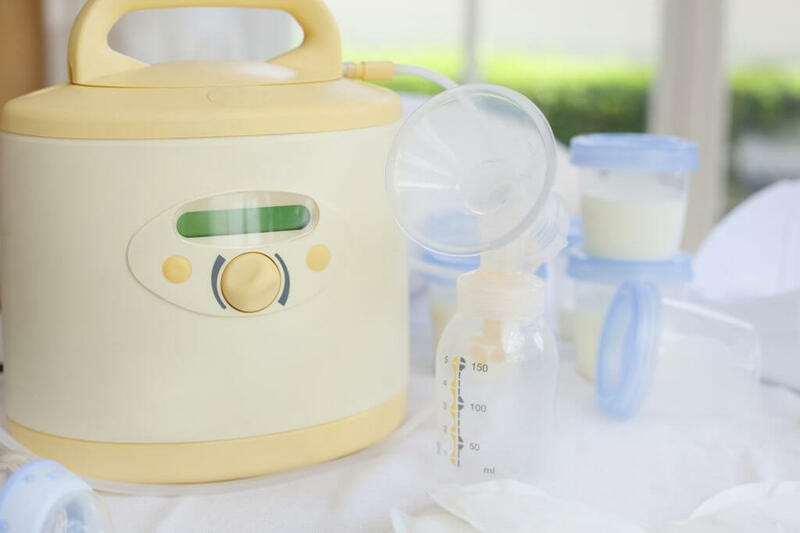 I had known that a mother’s room was available to employees, but I had no idea what to expect when I started pumping with purpose. Based on my estimations I needed to pump roughly 20 ounces a day for my daughter to take with her to day care the following day. Unfortunately, I was not one of the lucky few that was able to stock up during maternity leave, it was always a battle to stay one day ahead. 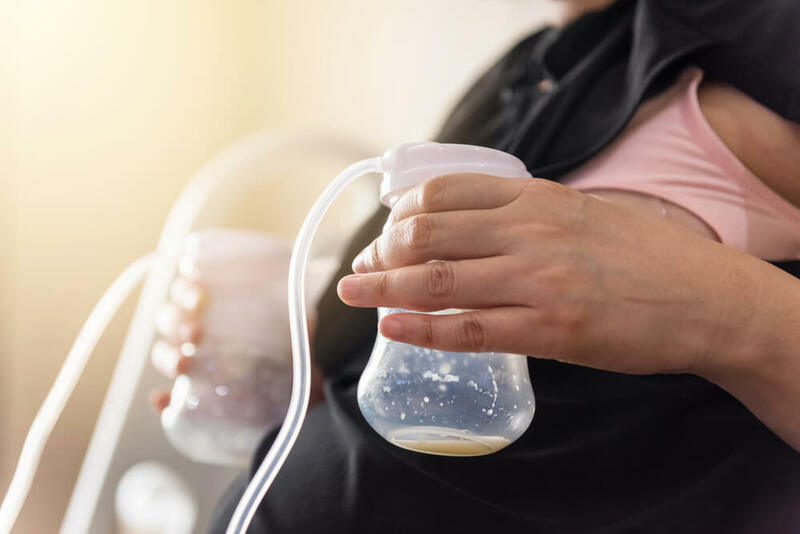 Upon my return to work for a large corporate entity I soon came to realize the limitations that pumping mothers face even with the absolute best conditions. We have three dedicated office buildings that comprise a campus, in each of the buildings there are two mother’s rooms. The rooms feature a comfortable chair with a small table attached, a conference phone, a locking door and a sink. Outside of the room there are four lockers that can be secured with a combination lock and a communal minifridge. Needless to say, I was impressed. Until I wasn’t! When I returned to work I realized that there were roughly 25 other women that were currently pumping at any given time in one of the two rooms in my building. I only found this out because every day when I journeyed to the floor with a mother’s room I found it occupied, on one occasion when I was the one that secured the room a single white piece of paper slid under the door that stated “Hello fellow mommy this is my time slot, my name is …. and here is my number … lets coordinate”. It then took us all of two months to identify the other mothers that used the rooms. We created a shared calendar and a group text between all of us so that each of us secured our desired time slots. That wasn’t my only hurdle; my other hurdle was justifying to my management that I need two hours a day to be able to pump. One hour of which was my lunch break. I had a strict power pumping regiment. Pump 15 minutes on each side twice. If I did this twice a day I would reach my desired 20 ounces. On days that I couldn’t spend 2 hours, I fell short and had to provide my daughter with smaller portions throughout the day. I needed to explain my situation to my boss. She was much more understanding than I thought she would be, but other powers at be insisted that I take conference calls during my pumping sessions. This was near impossible because I would lose focus, be distracted and honestly the last thing I wanted to hear on the other line was someone ask – what is that noise! So here I am now pumping at work for my second baby. I am at the same work location. The differences this time are that for some reason I have not run across another mom that is using the mothers room in my building, at least not at the times I go. The other difference this time around is that my milk production is even lower, so my son must be supplemented with formula half of the day at day care because I can’t for the life of me get up to 20 ounces. The good thing is if you are returning to work and you want to pump you have every right to do so with minimal obstruction from your company or management. The obstructions might however come in unexpected forms such as having to share the room with multiple mothers, not being able to justify long periods of time away from your work duties or in the case of most moms not having a suitable designated mothers room at their work location. I have heard horror stories of friends that had to pump in conference rooms without locking doors, broom closets and even in glass offices with makeshift screens. But how exactly is a pumping mother protected by the law, and did the above examples of pumping locations meet the legal requirements? As you can see the above examples of reasonable locations to pump are indeed compliant with the Labor Code. In addition to the laws being loose, there are also two exceptions to the above Labor Codes: Serious Disruptions and Non-Infant Children. In Labor Code Section 1032 “An employer is not required to provide an employee break time for purposes of lactating if to do so would seriously disrupt the operations of the employer.” The major downside to this exception is that a serious disruption is not actually defined by the law. In most cases however it is known to pertain to any major decrease in profits or productivity that the employer faces because of your absence. With this loose interpretation some employers are in fact able to deny the rights of a lactating mother. Non-Infant Children is also a tricky one. The right to take lactation breaks only exists for employees expressing breast milk for their own infant child. That makes sense however what defines an infant? Some mothers are still pumping for toddlers. I myself was able to feed my daughter well past 1 year until I become pregnant with my second. Julia Burge of Organizing Motherhood, is a Los Angeles Millennial Mommy that is navigating the world of marriage, money and motherhood all while juggling color coded balls. Her mix of humor, organizing tips, money matters and mommy related topics has landed her the honor of Top 30 Millennial Mom Blogs and Websites for Millennial Moms by Feedspot.